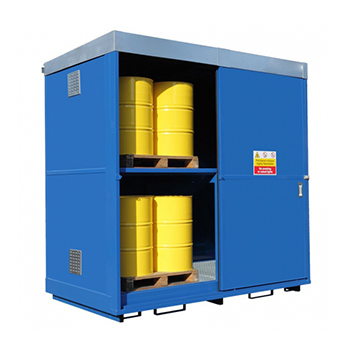 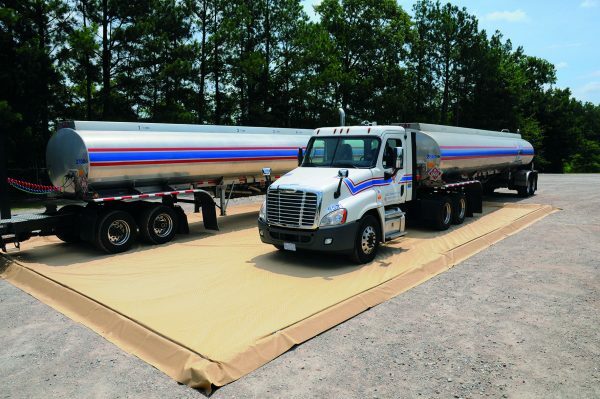 In the UK containers of oil or fuel cannot be stored outside unless they are correctly bunded in a secondary containment item (Oil Storage Regulations 2001). 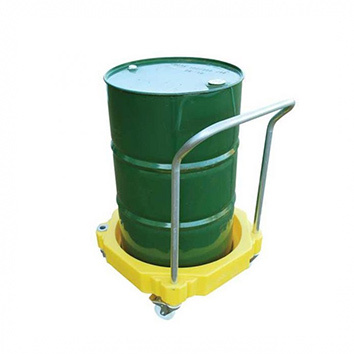 This means that if the container of oil leaks it will be contained within the bund. 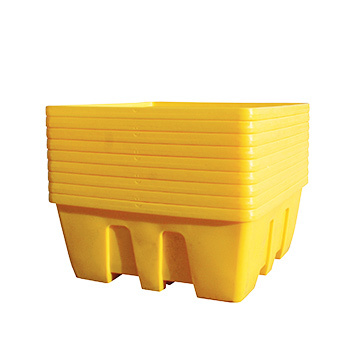 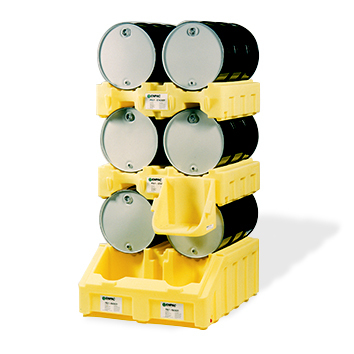 The secondary containment item must be able to hold a minimum of 25% of the total volume or 110% of the largest container whichever is the greater. 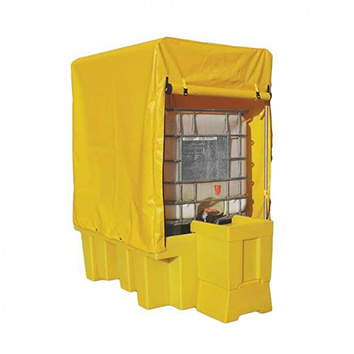 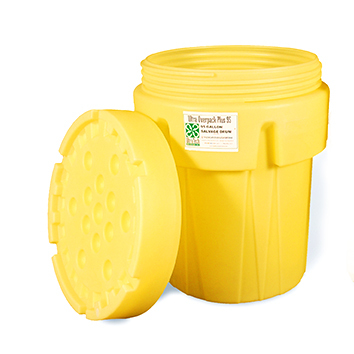 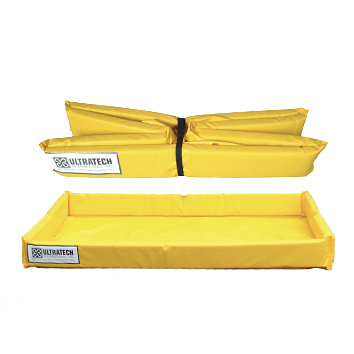 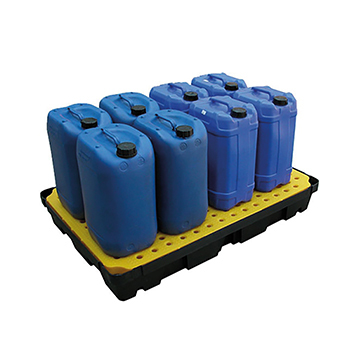 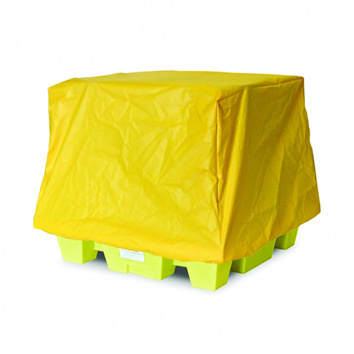 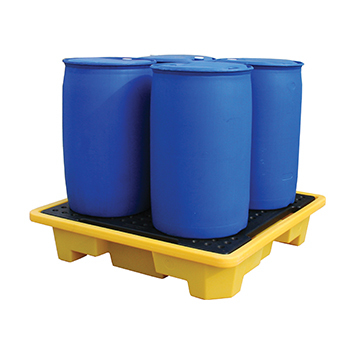 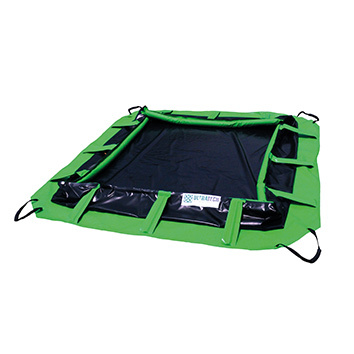 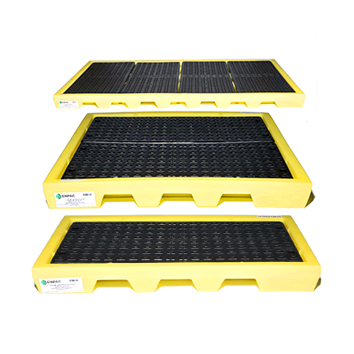 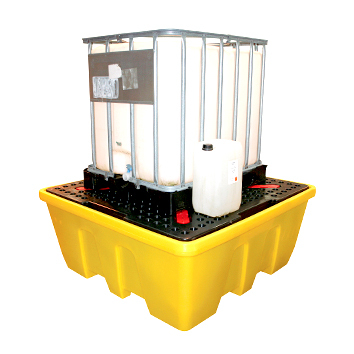 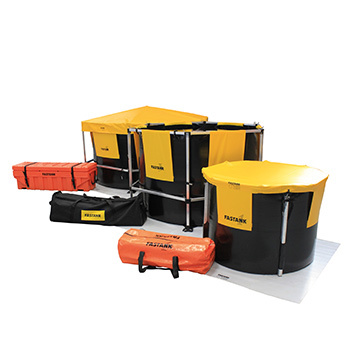 If a company was to store 4 x 205 litres drums the pallet sump must be able to hold 225.5 litres of liquid.